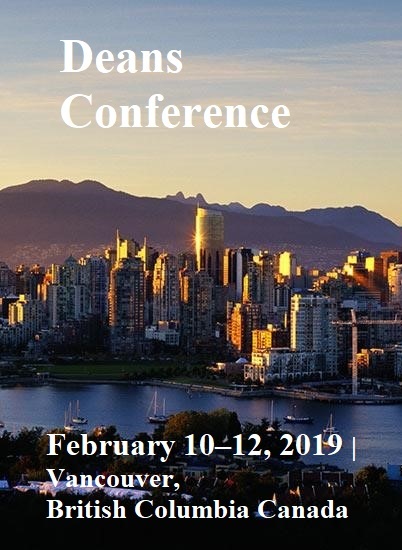 AACSB is hosting the international 2019 Deans conference on February 10th to 12th in Vancouver, an event aimed to create a platform for dialogue in leading and educating both the staff and the future leaders of business. With more than 600 business schools and thought leaders from over 50 countries attending annually, this conference is AACSB’s premier event for connecting with business school leaders, discussing today’s challenges and opportunities, and shaping the future of business education. This year, the conference offers sessions on critical topics that will help deans, faculty, and staff prepare for, adapt to, and lead change by unlearning old approaches and embracing new ways of thinking. Dr, Ali Elquammah, The Co-Director of Academic Affairs/International Relations will represent HEM Business School and the Association of African Business School as its Chairman during this event.